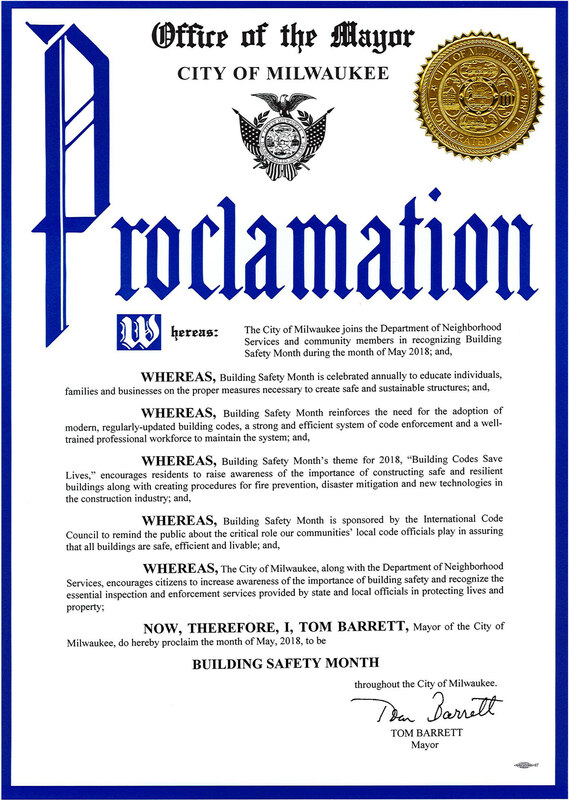 Building Safety Month is a public awareness campaign held annually in May to help citizens understand what it takes to create and sustain safe structures. The theme for 2019 is No Code. No Confidence. 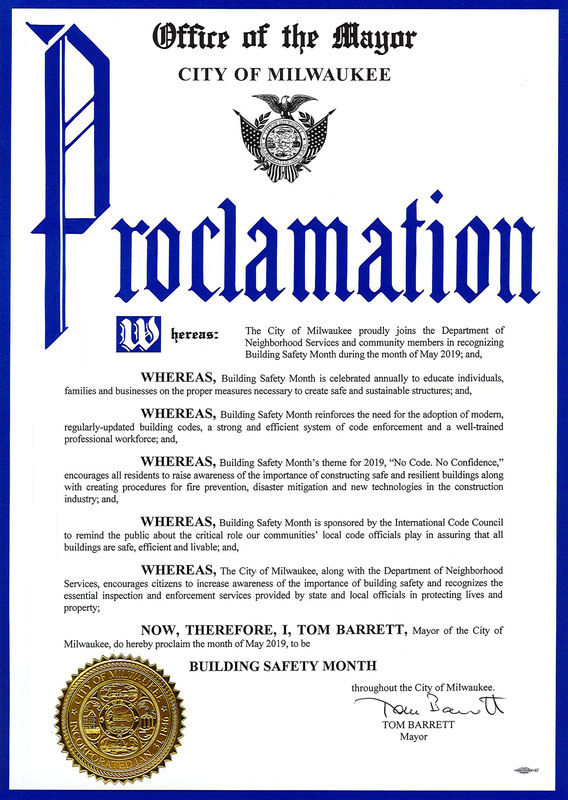 As part of its participation, the City of Milwaukee Department of Neighborhood Services will provide additional takeaway materials on safety at the Permit & Development Center (809 N. Broadway, 1st floor), offer safety tips on Twitter @milwaukeeDNS, and provide additional outreach opportunities to the community during the month of May. Founded by the International Code Council, this campaign is celebrated by jurisdictions worldwide because they understand the need for safe and sustainable structures where we live, work and play. 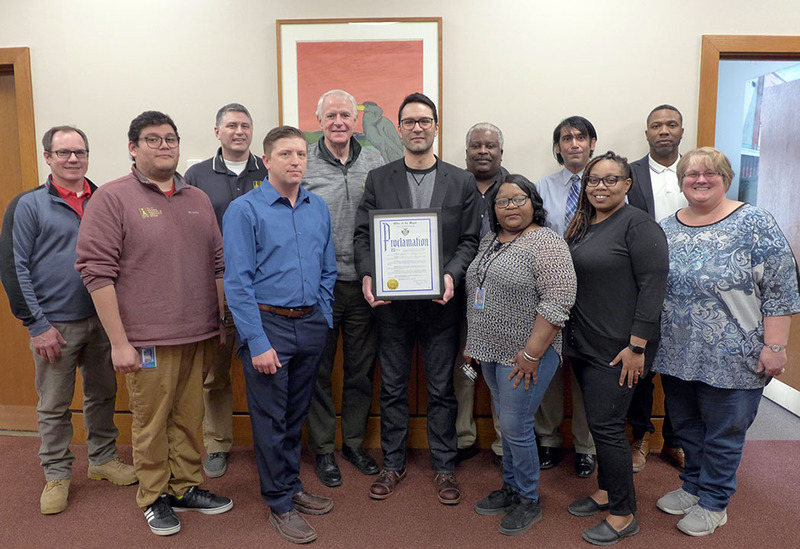 Mayor Barrett celebrates 2019 Building Safety Month with DNS staff. Mayor Barrett celebrates Building Safety Month 2018 with DNS staff.